Each of our CMM's operate with a volumetric accuracy of 8 microns. The measurement data that's collected when a part is inspected on the CMM, is relayed to our Statistical Process Control software. 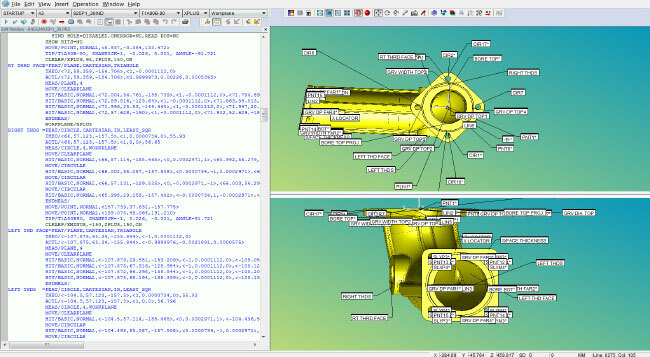 This Statistical Process Control software allows us to monitor the machining processes. We strive to maintain stable processes that have a Cpk of 1.33 or better. We also have a full range of manual inspection equipment that we use to insure that dimensions are within the tolerances specified by our customers. 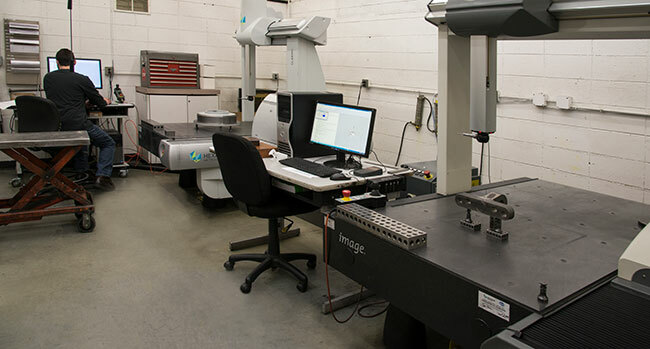 As part of our comprehensive quality system, we have our machine operators measure various dimensional features with manual gaging during the machining process. as part of our quality records. All of our measurement equipment is monitored by an internal calibration system that is traceable back to NIST standards. The Machine Shop carries the same ISO 9001 accreditation as the foundry.